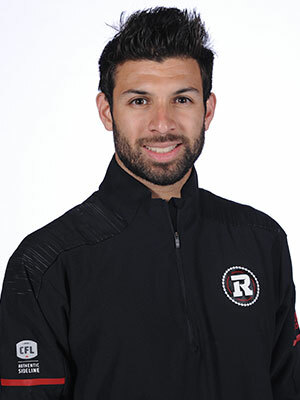 Marcelo Cuenca joined the REDBLACKS in the spring of 2014 as the Assistant Athletic Therapist before being promoted to the role of Head Athletic Therapist following the 2016 season. The Toronto native studied both Kinesiology and Athletic Therapy at York University. Marcelo’s previous experience includes working with NHL Ottawa Senators, CFL Toronto Argonauts, and at the Varsity level with both Carleton University and Humber College. Marcelo enjoys developing his training staff and individual skills with continuing education courses as he is certified in Functional Range Conditioning, Soft Tissue Release, Muscle Energy Technique, M2TBlade, and Sports First Response. In his spare time, Marcelo is a serious cardio junkie with over 20 years training in Martial Arts and is an avid runner and Nordic skier.